A couple of weeks ago, American EV manufacturer Genovation unveiled the Genovation GXE at the Los Angeles Motor Show 2018. 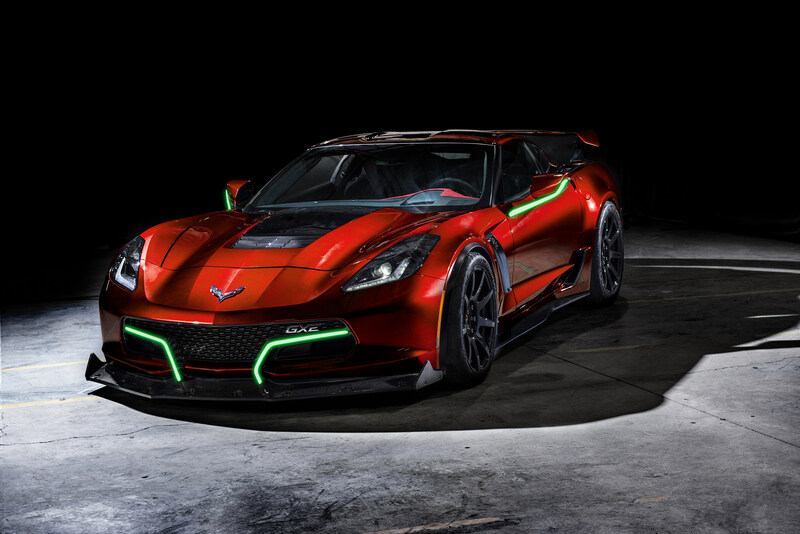 The all-electric Supercars is based upon the platform of a Corvette which has been re-engineered to fit an Electronic drivetrain. You may never have heard of Genovation. Based in Rockville, Maryland, the US company first took the covers of its GXE at CES 2018 earlier this year. It has since done the rounds at several US show including Pebble Beach 2018. The GXE already holds a number of world records. It is listed in the Guinness Book of World Records for the fastest standing mile for a street legal electric car, hitting a speed of 190.48 mph (306.5 km/h). Little is known about the technology that lies underneath. 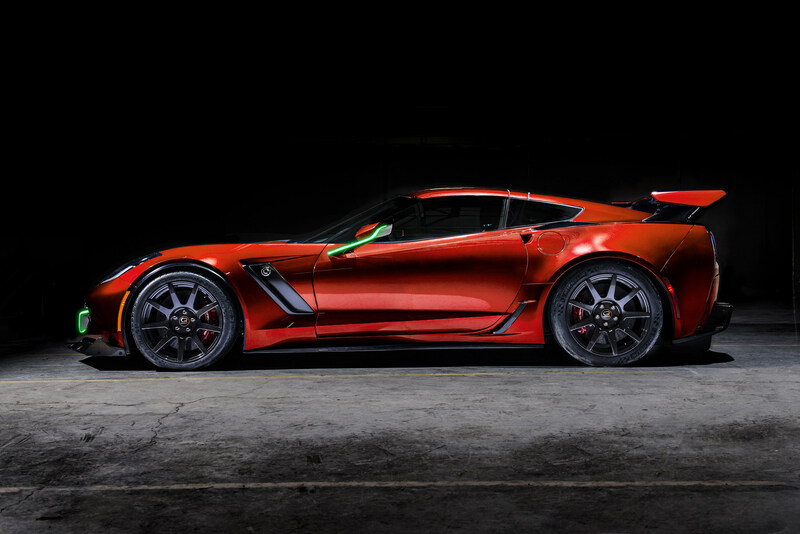 The GXE is said to produce around 800 horsepower and over 700 lb-ft (949 Nm) of torque from two electronic motors. Genovation are aiming for a 220 mph top speed and a 175 mile range for the GXE. Rather bizarrely, the all-electric supercar is available with either a 7-speed manual – an all-electric supercar exclusive – or an 8-speed paddle shift automatic transmission. It remains to be seen how Genovation plan to incorporate this into the drivetrain. Genovation have also confirmed that the GXE will be delivered with active programmable suspension, carbon ceramic Brembo brakes, carbon fiber wheels, an ultra-high fidelity 10-speaker JBL stereo, a 10.4-inch custom high brightness touch screen, over the air updates, active aerodynamics and a bespoke interior. Just 75 are planned for production with deliveries due to begin in the middle of 2019.